Desk.com is a cloud based help desk software for small businesses. 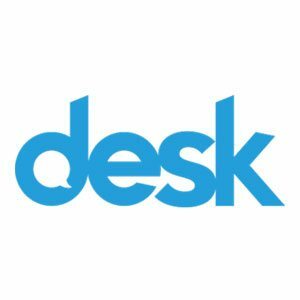 We compiled Desk.com reviews from our website and available reviews from around the web to determine what their customers think about the company. We also compared the most popular pricing options for small business owners. For an in-depth comparison of three top help desk software, read our help desk software buyer’s guide. Users who gave Desk.com a positive review liked that it’s versatile and easy to use. Some users who gave Desk.com a negative review thought that the reporting function could be better. our customers with excellent service. I cannot emphasize enough the benefits of being able to customize it like we are able! A negative review from Software Advice said that functionality is a bit lacking sometimes, and that to find solutions they had to work to achieve them in a roundabout way. They said they wished in-depth reporting could be done. They thought that what’s already there is useful, but that it would be nice to be able to customize it more. Here are a few other resources for finding helpful Desk.com reviews from customers. We rated the review sites on a scale from poor to excellent based on how trustworthy and useful the reviews seemed. Desk.com offers four pricing options starting at $9 per month for 3 agents up to $125 per agent per month. Users that opt to pay annually can get discounts ranging from $5 – $25. Desk.com is a Salesforce product, however only two of the four plans mentioned above give clients the option to automatically sync data between platforms. This makes the integration more efficient as there’s no need to manually enter data. The Starter plan is their most affordable plan and also their most limited. Chat, custom branding, history data, and reporting are not offered in this plan. There is also limited customer support with only the self service options available. 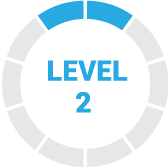 All the higher three plans offer phone and email support along with the knowledge base and customer access. Not sure if Desk.com is the right help desk software for your small business? 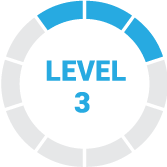 Check out our help desk software buyer’s guide comparing three top providers. This website has attracted a lot of attention to the point of impressing us with it, as it has state-of-the-art technical support, top quality, a very aesthetic and dynamic interface, which makes this platform very interesting, and intriguing. for the consumer. The problem begins when it comes to customize the App, since it does not have many options, another thing is that it lacks good performance, has a regular optimization, there is not much more to add in the bad aspects. We are delighted, we think the design quality used by the team of founders is great, it should be emphasized that certain errors have to be corrected, how bad is their optimization, nothing that does not fix a couple of updates, without doubt a very interesting platform. This platform is fantastic, since it houses a great attractive and aesthetic design to the client, it also houses a great variety of very useful tools for the user, besides having an excellent schedule. However, the technical support has a bad administration and a terrible optimization since its style of high quality and poor performance make it a somewhat heavy and not very fast because it forces a lot the device where it is installed. We are delighted with this App, we are very aware of future updates, and constant corrections, how we have also detailed several errors with technical support. However, it does not totally eclipse the positive things that the App has. In the office, our employees and the rest of the staff praise Desk.com for its innovative design, as well as having a modern and more than pleasant aesthetic. Desk.com still has many more options to add, it becomes evident when using the program that there are still many things to add and you feel that it is a somewhat incomplete application. The fact that there are still many options to add, however, you can easily complement it with another or if your company is not very large, make use of it easily. It is a very easy to use and versatile system. I like that my company is small and this software is special for small companies. Help automate my time rules. And I can customize it with the same style of my company. The system has stopped working several times, thus being inactive which is very stressful because it causes it to lose the work curve it was carrying. That the system charges for the time I’m online using the system. The main feature which I like the most in using desk.com CRM is that we can bulk export cases when needed and we can also add a quick note to a case so that others who handle the same case can easily know the history of the conversation we had previously. They even charge for the FLEX agents who use the license on a rare case, when we are in an enterprise plan we should not be charged for the FLEX agents as being loyal to them they should atleast waive the charges for the FLEX agents. Most of the time when we contact their support desk it goes only to the Voice mailbox, the accessibility level of their support seems to be poor. I wish that I should have known more about their app for the smart devices, which can come very handy while we are working from home. When there are lots of cases to be resolved the app is very useful in identifying the priority of the case which in turn helps us in replying to the cases within our TAT.